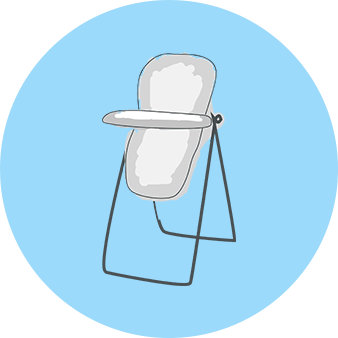 The Nania Cosmo SP can be used from birth until 18kg (approximately 4 years) and provides all the important support that your baby's developing head and neck muscles need. Installed rear facing for use up to 10kg, the seat can be used forward facing from 9kg to 18kg. This superb seat features the classic red colour and instantly recognisable badge of Ferrari. Your little one is secured with a 5-point safety harness that can be adjusted with one simple pull, and the chest and buckle straps are padded for comfort. When used forward facing, the seat has 5 recline positions, and a wide, firm base to ensure every ride is comfortable. The seat features a removable padded head and body support, and deep sides to provide excellent side impact protection. You can install the Cosmo SP in your vehicle by using your 3-point seatbelt. This seat is lightweight, and ideal for transferring easily between cars, or for those who want a seat that will last them for a while without breaking the bank.